Creative landscape edging can help you design attractive borders for your theme in any garden. Log edgings are one way of bringing out the best description of your garden. This design is functional, decorative and it acts as safety barrier. 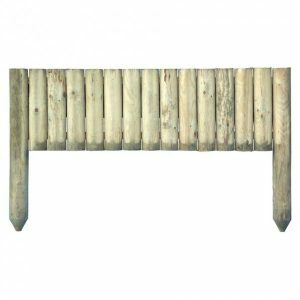 Sheds to Last log edges to give an exotic but rustic border outlook in your outdoor garden. 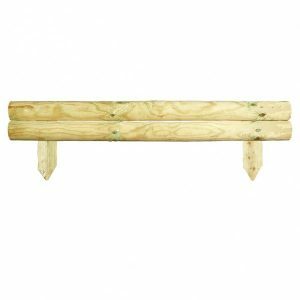 We have high quality log edgings hewn off premium wood blocks.These edgings come with ground spikes to facilitate easy mounting. Whereas log edgings can come from different wood species, we will help you pick the edgings that suit your project. The wood used to manufacture is slow grown and pressure treated. We have pieces from pine. These edgings are rot and decay resistant even when exposed to the elements including soil. 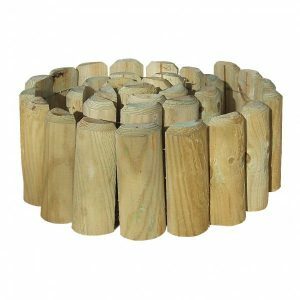 Our log edging are carefully crafted, joined and reinforced with steel wire. When you come to Sheds to Last, we have horizontal and vertical log edging designs. Whether you have a raised garden or flat flower beds, we assist you to choose the ideal log edging height to suit your garden borders. 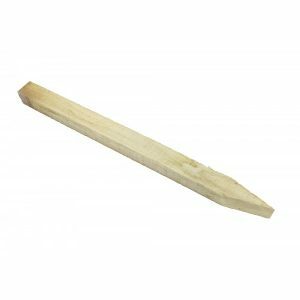 No matter how small, we have the right log edgings solution for you. Our log panels can be used practically anywhere as long as they fit. Choose them to act as path, garden, or bottom garden panels; they will give an elegant finish while keeping your garden edges intact. If you are looking for fine log edgings to skirt your lawn or you want the panels for the aesthetic effect, we have creative options that will leave your garden looking simple but sophisticated. Check out our log edgings variety and we will do the rest.